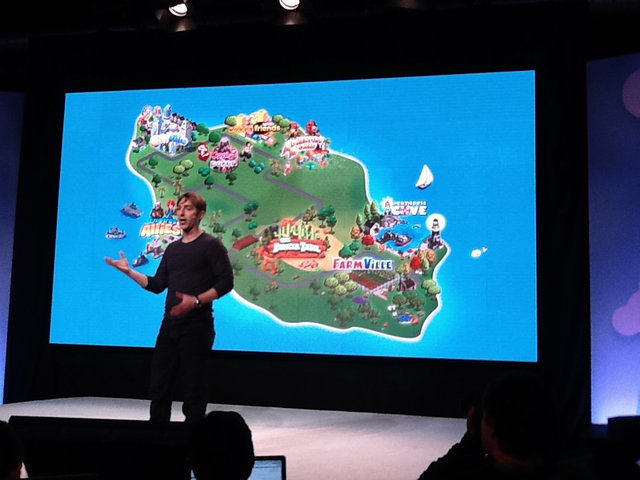 During Facebook’s IPO event, which the world is watching, a company closely tied to it called Zynga wasn’t celebrating. Its stock (ZNGA) dropped over 13% and trading has been halted. Since Zynga’s gaming business relies heavily on Facebook as a distribution platform, those who are reacting to Facebook’s jump out of the gate could have something to do with the drop. This could also simply be a wave of tech investors dropping one company and moving their money over to Facebook. In regards to the trade halting, it’s more than likely due to a “circuit breaker” mechanism that’s in place to stop the free-fall of a stock, adopted after the crash in May 2010. These pauses in trading usually last about five to ten minutes, but Zynga has passed that threshold at this point as it was officially halted at 11:37AM ET. 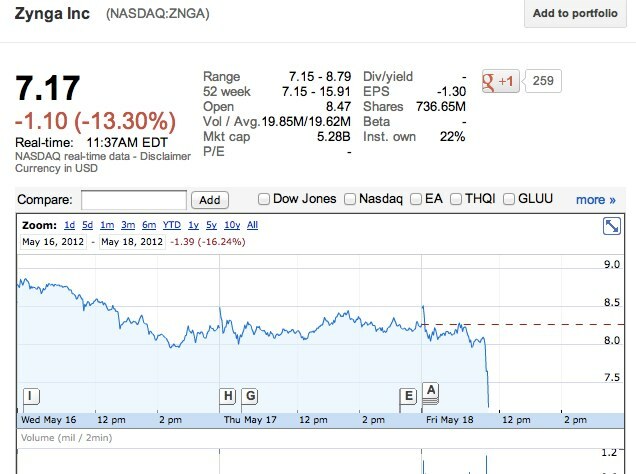 UPDATE: Zynga trading resumed at 12:29PM ET at $7.80, but quickly halted again. UPDATE 2: Zynga has started trading again and sits at $7.49 as of 1:42PM ET.